What is the science in Lean? Co-authored by Mike Rother - an American researcher who introduced the widespread business practices of Value Stream Mapping and Toyota Kata. "These are kinds of disciplines in the field of science that you have to learn. To know when you know and when you don't know, and what it is you know and what it is you don't know. You gotta be very careful not to confuse yourself." We believe that scientific thinking is not just for scientists, but an essential and widely-applicable life skill for everyone, which anyone can develop through practice. Scientific thinking is not difficult in itself, it's an important skill for anyone that faces challenges, and it is essential to sustainable improvement, adaptability, and innovation in your organization. There has been a lot of talk about Lean being scientific and we concur, at least in theory. The original model for Lean, Toyota, develops people as scientific thinkers teaching: (a) a defined direction -- a target condition or target standard -- which is analogous to having an overall 'research question' in science, and (b) PDCA (if it's done correctly) as an iterative process for systematically learning your way toward that goal. However, we find that so far the practice of Lean outside Toyota has rarely been scientific, characterized more by a false sense of certainty about what is and how to do Lean than a constant acknowledgment and distinction between what we know and what we don't know. Perhaps many Lean practitioners, like us humans in general, avoid scientific thinking because scientific thinking means acknowledging and dealing with a lot of uncertainty; considerably more uncertainty than we may be comfortable with. Scientific thinking can be defined as the intentional coordination of theory and evidence, whereby we encounter new information, interpret it and, if warranted, revise our understanding accordingly. In fact, we learn the most when we explicitly state what we expect and compare it to what actually happens (Figure 1). This pattern is, in contrast, to unconsciously relying on already-held beliefs to explain causality. Scientific thinking gives us the ability to look beyond our preconceptions and see the world and ourselves in a truer light. 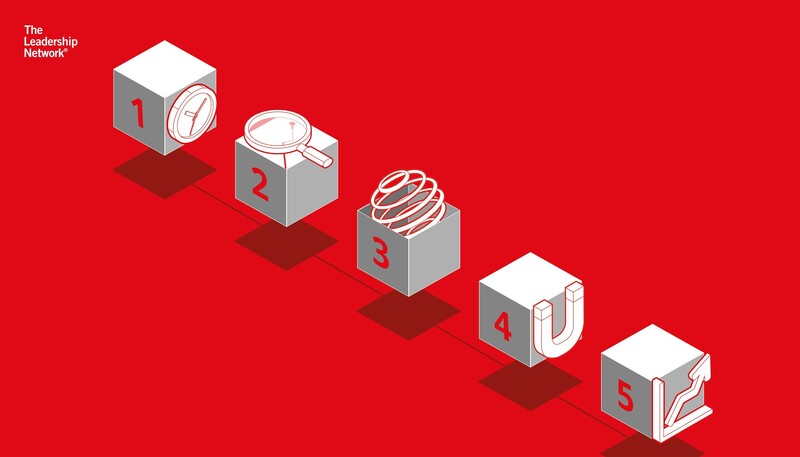 Toyota leaders like Taiichi Ohno seem to have figured this out based on experience and wisdom, leading them to conclude that the only way to consistently reach challenging goals is through iteration and experimentation that’s aimed at a desired condition (which we don’t yet know exactly how we will achieve.) We must be humble enough to recognize that we don’t know exactly what’s going to happen and no plan will cover everything. We also must develop the confidence that scientific thinking will allow us to successfully navigate that territory. That comes from practice. When we have a need, like improving quality or reducing lead time, someone who is certain about the steps for reaching the desired destination should be regarded with suspicion. Uncertainty in dynamic systems is normal—the path can rarely be accurately predicted—and so how we deal with that is of paramount importance. In other words, the predictable zone is usually smaller than the uncertainty zone and the biggest gains are to be made in the areas where we are learning (see figure 2). We tend to learn the most from a failed prediction! It may seem discouraging to realize how little we know, and how little is fully knowable. On the other hand, this predominant feature of life can be highly enjoyable. 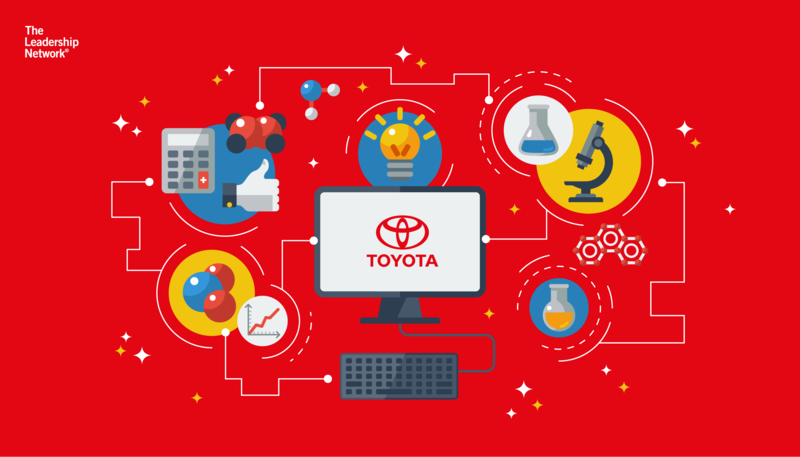 We have seen, inside and outside of Toyota, people with a scientific mindset regularly achieving goals that at the outset appear barely possible, and deriving great satisfaction not from reaching the goal, but from the process of working to achieve it. We have also seen their confidence grow with each PDCA cycle so they become more comfortable that they can tackle even bigger challenges. True certainty and confidence do not lie in preconceived implementation steps or solutions, which may or may not work as intended, but in understanding the scientific logic for how to proceed through unclear territory. Lean focuses on helping organizations to achieve their purpose more efficiently and effectively. 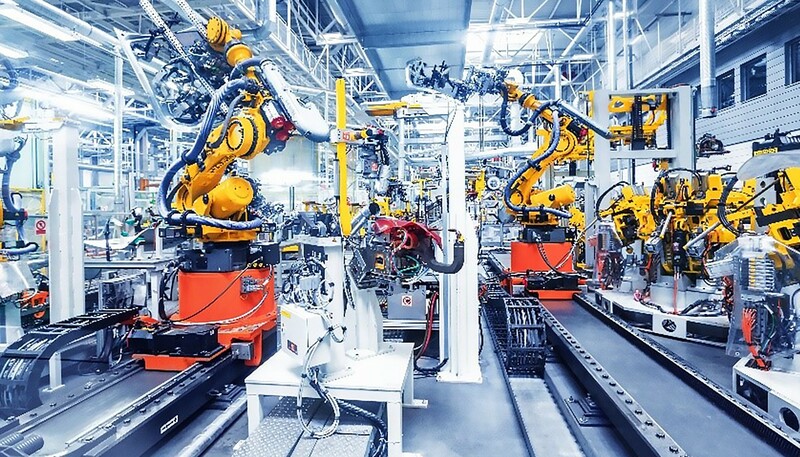 We in the Lean community are less interested in generating macro-level theories of Lean organizations than in learning how to approach transformation of specific processes, value streams, and organizations. Since in any organization we are dealing with complex systems that are dynamically changing, a generalization of the form if X then Y is rarely useful. For example, if somehow we found in a survey of factories that Y (% reduced inventory levels) = 3.2 X (degree of implementation of pull) it would not do us any good in practice other then perhaps trying to convince someone that pull is a good thing. Sound familiar? The science we are interested in is a meta-skill -- a universal way of thinking and acting that can be applied to an infinite number of situations with all their dynamic complexity. Scientific thinking becomes the common approach to improving specific systems under specific circumstances. There is no reason to generalize the effects of the solutions applied in those specific instances. Rather, it is useful to generalize and transfer the meta-skill. One way of putting it is that the Lean community should be more interested in using a scientific approach for improvement of actual systems, and less interested in building a body of knowledge of generalizations about which solutions solve which problems. This suggests we do not want to just act like the medical sciences and create a generic body of knowledge about a system's workings, such as what gene can be manipulated to eradicate a specific disease. That level of cause-and-effect will probably never be achieved in complex socio-technical systems. Yet, we can use the scientific thinking approach of the medical researcher in formulating and testing local hypotheses about what we can do in a specific instance to achieve a desired result. And some of what we learn may generalize to a degree to very similar systems, e,g., other heat-treat operations in other plants that perform the same function for the same type of metal. Toyota, for example, does shop-by-shop benchmarking within region, for example comparing their paint shop in France to their paint shop in the UK. Heads of those shops go to a plant each quarter on a rotating basis, usually for one week, and actually, work to improve something and in the process get a deep understanding of that shop. They decide what they will bring back to experiment within their own shops. What is the business case for Lean—cost of transformation, time it takes, and benefits in a one to three year period? What are the best steps to follow to conduct a Lean transformation, in what sequence, with how long per step? What are the best Lean metrics to motivate people to want to act in a Lean way? What are the right conditions to use physical kanban versus electronic kanban? Now, you can find people who will give answers to these questions. For example, there are those in the Lean consulting community who are pressured to answer these questions in order to win a contract. And when asked a question about best practice in Lean there are many people who are happy to discuss and debate. The answers tend to be opinions or a summary of someone’s specific experiences and can hardly be considered a scientific body of knowledge. Cultural, for those of us who grew up believing that science is objective and certain, whereas real science is always provisional. A natural human tendency to seek certainty. We would rather think we know something such as the cure to a nagging problem, even if we are wrong than confront that we must repeatedly experiment and fail in order to find something that helps. Plan: Plan your next step and predict what will happen. This must be testable / measurable. Do: Take the step, if possible on a quick trial basis so that the inevitable failures (nothing works the first time) won't cause a breakdown. Check (or Study): Gather the facts and data about what happened. Act (or Adjust): Compare what you expected with what really happened. What did you learn from that comparison? This cycle can be practiced at all levels of an organization (i.e., it's fractal & nested), although the higher you go the more strategic in content and slower-turning the cycle gets. The concept of scientific thinking seems almost self-evident. Take the time to plan the next step, try it, and then figure out what you learned before defining the next step accordingly. The difficulty arises from our innate fear of uncertainty and desire to know in advance what to do. If you listen to the many stories from Ohno’s disciples most of what he was doing through his incessant questioning was, on the one hand, slowing them down -- “What is the purpose?" "How do you know that is where the problem originated?” -- and on the other hand to speed them up -- “Can I see whether your idea works this afternoon?” He wanted them to think deeply, but experiment quickly as the way to advance their knowledge. How do you develop scientific-thinking skill and mindset in a team? Behavior and mindset come from cognitive processes that aren’t conscious, so just talking about them doesn’t really change anything. Education and awareness are a start, but they aren’t enough to change the subconscious processes that generate behavior and mindset. It comes down to individuals practicing new behavior patterns, with someone to coach them in the new pattern, especially at the beginning. Just explaining the concept of PDCA is not enough to change behavior and mindset, and there are not many master teachers like Ohno to go around -- who have an intuitive feel for what to ask next to push the right buttons to help the student learn through practice. This is the reason for the Improvement Kata and Coaching Kata -- to have a structured approach to learning and teaching scientific thinking so it can be deliberately practiced by anyone. The Improvement Kata defines the set of routines that we can practice to learn how to approach a challenge more scientifically -- fundamentally altering many of our biased non-scientific tendencies. The Coaching Kata defines a set of routines that can be used to coach a scientific approach to improvement. The management methods of the 20th century were arguably intended to reduce uncertainty, whereas the management methods of the 21st century may be as much about being effective and comfortable working within unavoidable uncertainty. What we see characterizing most of 20th Century style management was not scientific. It was focused on getting results by executing predefined plans based on false beliefs in certainty and simple cause-and-effect. We see Lean done right as resting on scientific thinking. Using a scientific process we learn our way, step by step, to achieving challenging goals, developing solutions that we couldn't predict. Humans are a part of nature and the evidence suggests that we cannot steer nature. So one of the highest tasks for ensuring our own survival is that we exercise our unique human capability, that meta-skill, of navigating in a scientific way that lets us find and develop paths that work within nature, rather than pretending we know what will work. When the stakes are high, the latter mode is a recipe for extinction... of a company or of any other unit of human endeavor. We have the scientific equipment on board, right at the top of our spinal column, and we think that perhaps the essential element of science, as applied in Lean or any other area, is realizing that any idea we have needs to be tested. As the bumper sticker says, don't believe everything you think. Jeffrey Liker is Professor Emeritus of Industrial and Operations Engineering at the University of Michigan and the author of The Toyota Way and a series of related works. Mike Rother is an engineer, researcher, and teacher who works to develop scientific thinking in individuals, teams and organizations. He is the author of the Toyota Kata series of books at McGraw-Hill. 1. Karl Weick, The Social Psychology of Organizing, N.Y.: McGraw Hill, 1979. 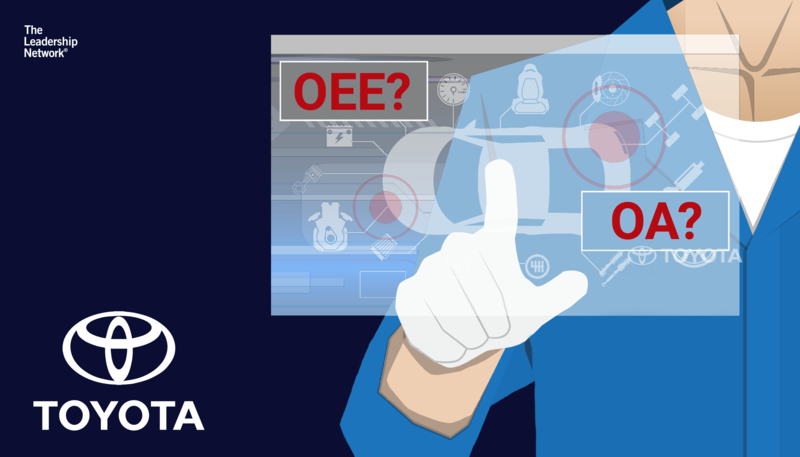 Is OEE a Useful Key Performance Indicator?